The use of machine vision to provide quality inspection such as detect product defects, component measure and misplacement . Its objective is to reject all products that do not meet client’s requirements. It supports a fast inspection speed at a high level of accuracy. 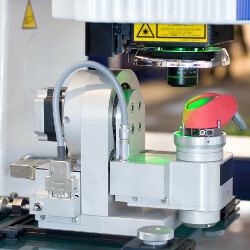 The use of machine vision to provide product information, tracking product parts and verify product code. Its objective is to retrieve the product information instantly without any human data input. The use of machine vision to provide robot guidance. It involved computer vision controlled industrial robot. 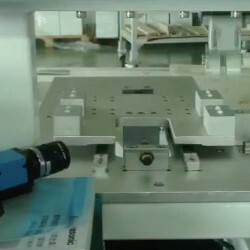 Its objective is to control the robot to pick up product that is not properly in-placed, to ensure no misplaced object can get into the next production process.